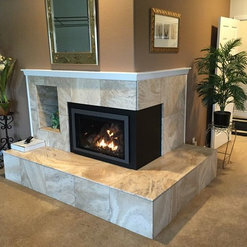 Jerry's Fireplaces from Hayward Ca. did a fantastic job installing our beautiful Mendota Gas Insert.Jerry the owner, came out to measure and I know from his short visit that he was a true professional. It was very comforting when Jerry showed up on installation day, not to just get the crew started, but to actually be a working member of the crew. Jerry's van is completely organized and clean like a true professional. His preparation of the site, custom installation, and final cleanup was again the work of a true professional. The finished fireplace was A+ I highly recommend Jerry. Thank You for a job well done. Jerry's was professional in every respect. The showroom was well laid out with many examples to choose from, the process was clearly explained and the installation was expertly and safely done. Jerry carefully explained how to control the insert with the remote and how to do the burn-in which is not well-explained in detail in the manufacturer's manual. 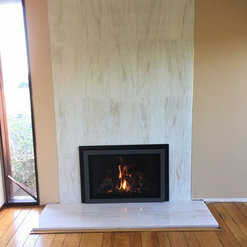 We are very happy with the clean appearance of the fireplace and hearth and look forward to many years of use. 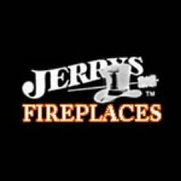 The highest praise that I can give Jerry's Fireplaces is to tell you that we have used them twice now, and their professionalism is off the charts! They treat your home like you treat it. They keep everything clean, they stick to the estimate given, they complete on the dates given. We started with a wood burning insert, we just put in a gas insert. We were and are completely satisfied with the products and the services provided and highly recommend Jerry's. 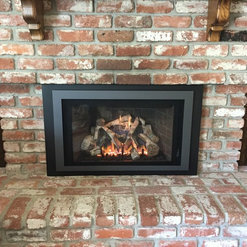 We've used Jerry's Fireplaces for two projects (one new construction and the other existing) and we couldn't be happier with the quality of the products and the service provided. I highly recommend them if you need a fireplace! Jerry's Fireplaces came highly recommended and I was impressed from the very onset. The finely and well stocked display area was clean and he was very good at describing the units and there differences. I learned a lot about gas log inserts and there qualities in a short amount of time. Once my order was placed and the work began I continued to be pleased. My 4 day project required a total of 8 workers that was respectful of my home and me and worked as a clean professional team. 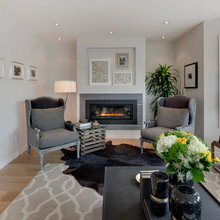 Each stage of this project required specific tradesmen that worked in a very timely manner. I am so very pleased with the outcome. 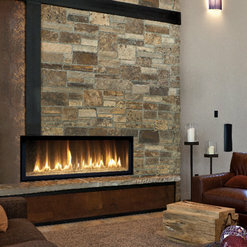 My clean burning gas log insert fireplace looks just as a brick faced fireplace should!